The Air Pegasus is 4 years older than Fleet Feet Montclair. We grew up together. We supported each other's success. The Air Pegasus taught me about the importance of consistency, moderation, quality product, price point, style, time-tested durability and trustworthiness. The Air Zoom Pegasus 33 builds on it's rock solid heritage. It features improved cushioning and flexibility. Nike’s trusted Zoom Air cushioning is now in both the heel and the forefoot, giving you a soft yet responsive feel underfoot. The outsole now features an improved design with more flex grooves which ensures a smooth ride from heel to toe. 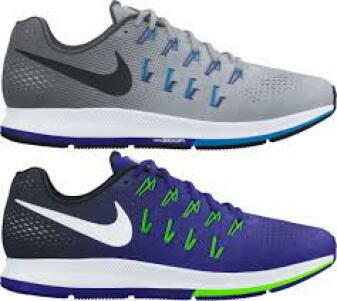 The Nike Pegasus 33 is the perfect ‘workhorse’ for your stable of running shoes, perfect as an everyday trainer while able to withstand the pounding of longer runs. 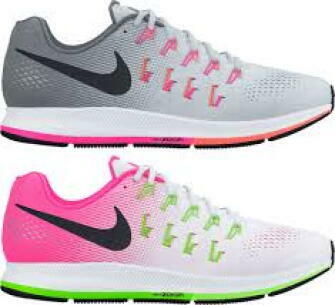 Thanks Nike Pegasus, for going the distance with Fleet Feet Montclair.